It takes a special car to compete at racing's highest classes, and in Japanese Time Attack some of those cars come from a tuner shop called Top Fuel. 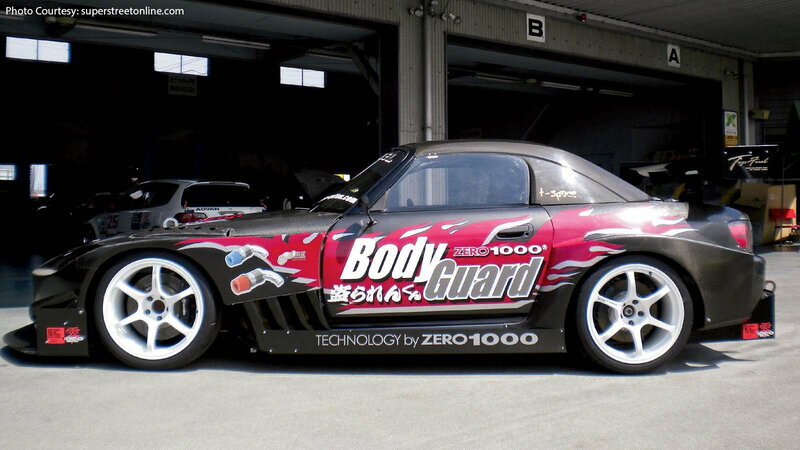 This turbo Honda S2000 AP1 that they built is ready to take on all attackers. Although the Honda S2K weighs only 2,800 pounds out of the factory, Yasuji Hirano of Top Fuel did not feel that was light enough. His goal was to shed off some pounds and trim the S2000 down to just 2,000 pounds. This AP1 has a 4.6 pound front bumper, race-spec acrylic windows, and a Mugen carbon-fiber hardtop, all of which have contributed to the lightness of the car. Thanks to the magic of carbon fiber used everywhere, this S2K achieved his goal weight even with the addition of all that aero. 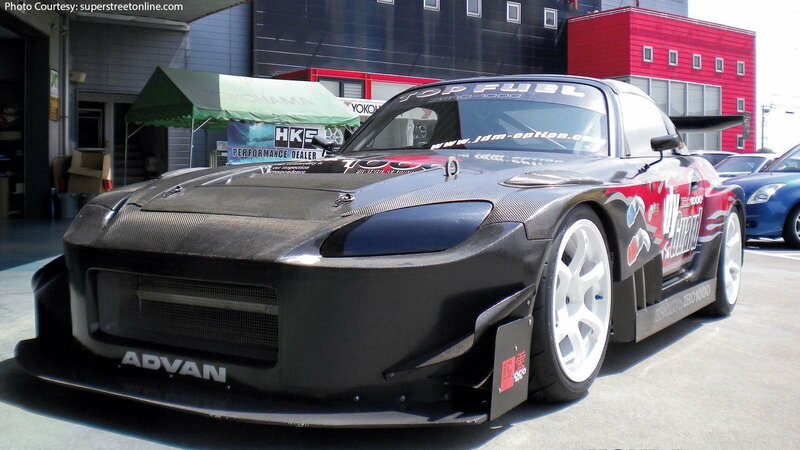 >>Join the conversation about Record Setting Time Attack Turbo AP1 Racer by Top Fuel right here in the S2ki Forum! With such lightweight structure and extreme power, the suspension had to be top-notch to keep this car on the track. Keeping this S2000 grounded is a set of Zeal Super Function R coilovers, and with remote dampers, the car has a lower stance than possible on your average Honda S2K. The suspension also got lots of adjustability thanks to Ikeya parts, and Pillow ball arms, camber, toe, and roll center adjusters, making this S2000 as responsive as possible on the track, and tuneable for different events. Many people don't think good brakes are important for gogin fast, but in time attack it is all about accelleratin, and slowing as quickly as possible, to deal with corners. With a car capable of such high speeds, one cannot forget the brake system. The stock brakes were replaced with a Brembo F50 big brake kit, meaning the front are slotted 340mm rotors, and the rear are 330mm. The factory ABS is still being used, but the brake lines were all replaced with braided stainless steel lines. In order to maximize the car for time attack, it need lightning fast shifts, so the team had to get extremely creative with the transmission. After some brainstorming, fabrications, and man-hours, the S2K received its five-speed sequential transmission from a Silvia S15. Even with all the fabrication, they had to use a triple-plate OS Giken clutch to make it all work. Out back a limited-slip differential from a Mazda RX-7 completes the transformation and handles all the added power. How much power are we talking about here? Cutting all of that weight wasn't going to cut it on the highest class of time attack, even with the upgraded transmission, suspension, and brakes. More power was needed, so the owner of this S2K started by stroking the engine's displacement to 2.2-liters, then rebuilding it with custom forged H-beam connecting rods, forged pistons, and a ported head. After some more performance touches, like the 1,600cc fuel injectors, fed by a Bosch fuel pump, the custom fuel lines, and controlled by the HKS F-Con V-Pro stand alone computer, they were ready for boost. For maximum boost, the team installed HKS piping and blow off valve, hooked to a GT3240 turbo, custom throttle body and intake manifold. It all paid off on the dyno though when the parts all added up to more than 600 hp at the wheels. It all seems to have paid off too, because in 2008 they clocked the fastest FR lap time ever at Tsukuba Circuit, and set a new record. You can check out a ton more picture in SuperStreet. There are plenty of videos of the car out there, but why not let the builder tell you all about it himself? The car has continued to evolve,and now it may be making more than 700 hp.